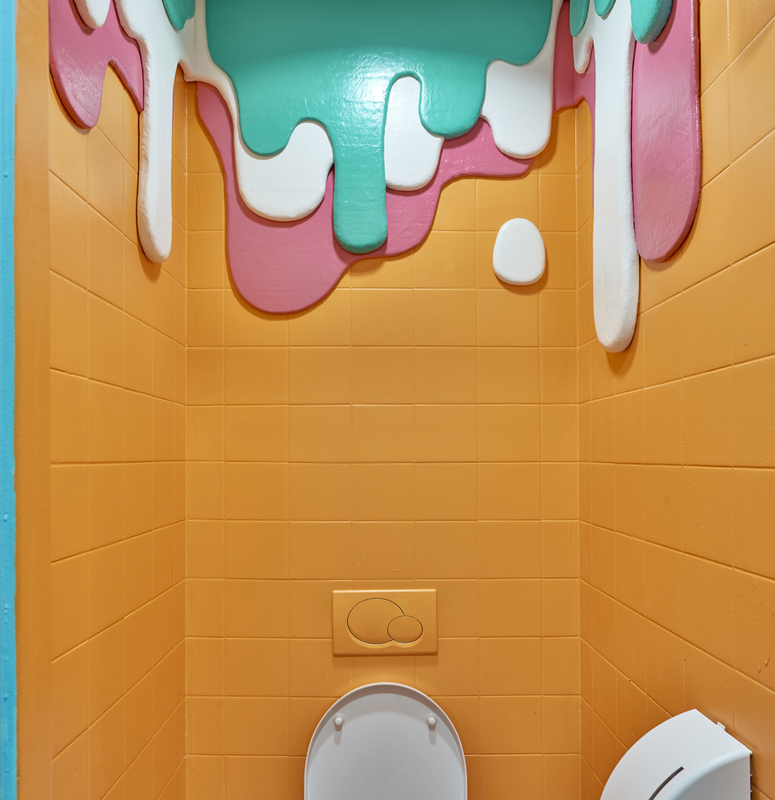 The CIC x Arttenders Art at Work Project commissioned Studio Maky to create a design for one of the bathroom units, adding style and playfulness to a space that is normally considered purely functional. Studio Maky is a creative duo born from the fusion of two colorful minds: Man-Yee Mok, a multimedia designer and animator, and Kwannie Tang, an illustration designer. Their playful concepts include an interactive approach. They take shape through life-sized installations and creative workshops designed for events. Their projects stand out for their flashy energy and commitment as they love building the installations themselves but they embrace challenges with ambitious and elaborated designs. 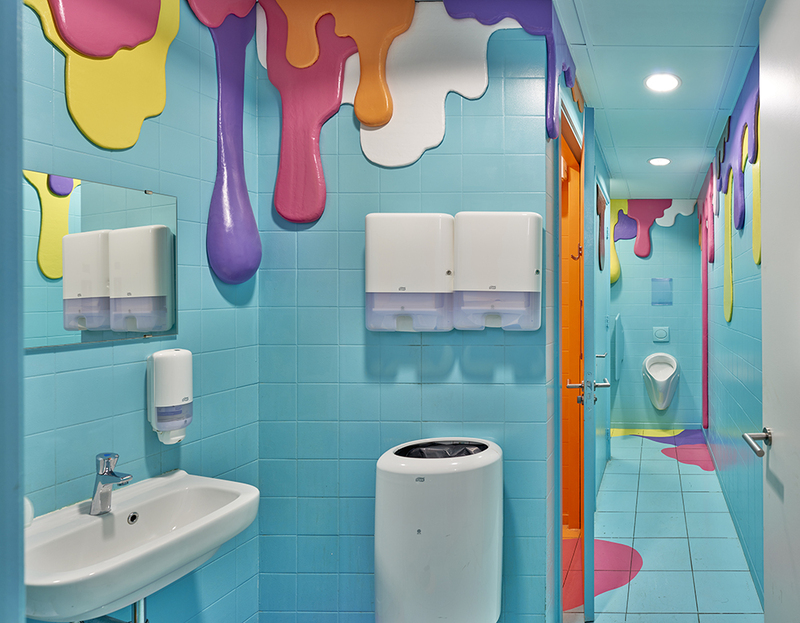 WC Wonderland, Happy Drips and Stains is inspired by both the playful shapes of liquid drops and stains and the the young, creative and innovative atmosphere of CIC. 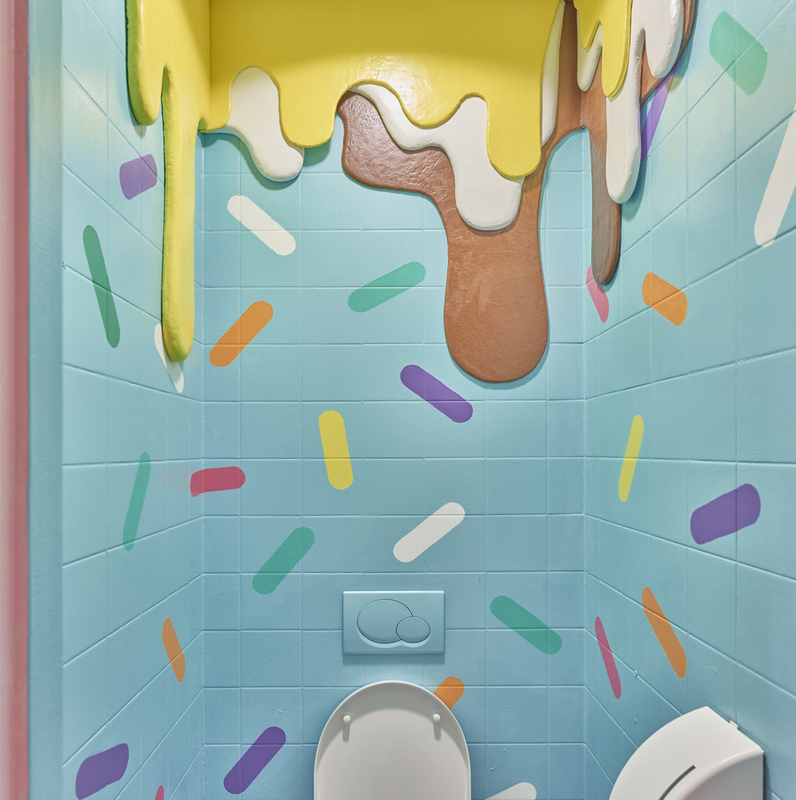 Says Studio Maky: "WC Wonderland is the perfect place to enter another world and escape from everyday reality. 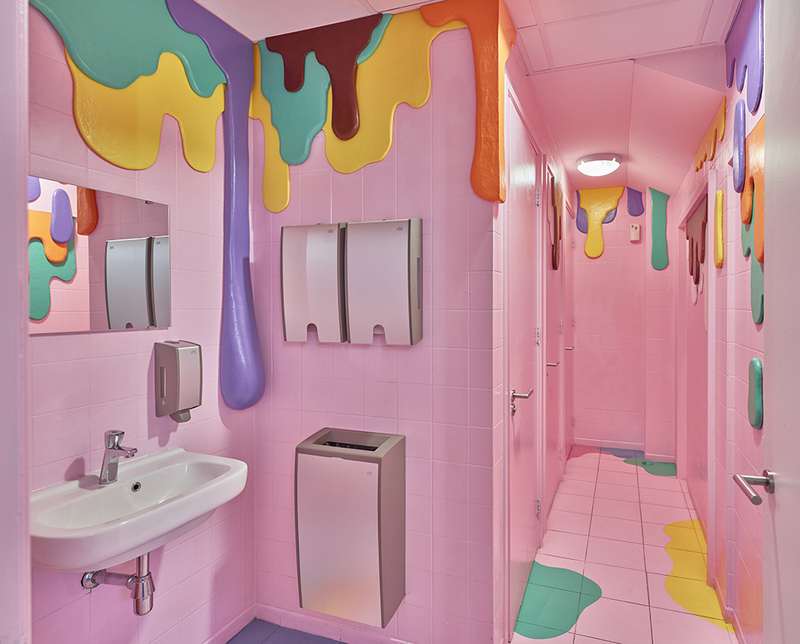 Surprising art installations can spark the imagination, even and maybe especially during a bathroom break!